According to recent figures, unemployment amongst 16-24 year olds has fallen by 4.5% in the past year to 16.9%. One of the reasons for this is the rise of young people aiming to start their own businesses. The latest RBS Enterprise Trackersuggests 60% of 18-30 year olds have ambitions of being their own boss, and 8% are currently in the process of starting their own business. When I finished secondary school, I also took the decision to set up a small enterprise, before sharing my experience with other young entrepreneurs through my work with a thriving youth engagement organisation. But starting out on your own does come with its own challenges. The current economic climate is just one reason 53% of young people believe it is too risky to start a business right now. But many youngsters are still attracted to the promise of a better work-life balance and more rewarding work. It’s that last point which has seen a surge in the number of social enterprises set up in England. But whatever your reasons for starting your own business, I’ve put together five tips for young entrepreneurs, based on my own experiences. As an entrepreneur, you’ll undoubtedly have grand visions for your business. A former employer often told me “if you write down your goals, you’re far more likely to achieve them.” That’s something I firmly believe to be true, and a way of doing that in business is to develop a strategy for growth. This might include your overall vision for your business, with a detailed set of objectives – or stepping stones – to get you there. Setting up your own business can be a very exciting time and it gives you the opportunity to make your passion your work. It is, however, difficult to do everything a business requires by yourself. This is where it’s important to lean on others for help. Just as you might enlist the expertise of a web design firm to build your company website, you can also hire consultants for other aspects of your business. My time with Target has shown me how an agency can become an extension of your team, providing support and sharing knowledge when needed. Creating such a support network for your business could be your secret weapon to achieving success. More than 395,000 new businesses have launched so far in 2014, potentially providing vast competition to many fledgling enterprises. Figures like this can put a lot of pressure on entrepreneurs to launch their products as soon as possible in order to beat competitors to the marketplace. But after spending months, or even years, perfecting your product or service, it’s worthwhile to take a deep breath before taking the step to launch. Wanting to get your product in front of customers as soon as possible is completely natural, but launching too soon could have a negative impact on future success, especially if the product doesn’t meet the needs of customers. Instead, consider other methods, such as using focus groups to generate product feedback, without harming your reputation. As the famous saying goes, you don’t get a second chance to make a first impression. Once satisfied your product is truly ready for your customers to start using, it’s time to focus on its launch. In my experience with start-ups – and indeed at Target – I’ve learned how important it can be to tell a story which makes your product relevant to customers in current market conditions. As Richard Stikoe mentioned in a recent article for PR Week, there are a multitude of platforms people now use to consume their news, from the internet and digital radio to blogs and social media. It can be difficult to decide which of these will be most effective in communicating a message which grabs the attention of potential customers. By leaning on members of your support network who have knowledge of this area, you’ll be able to avoid ‘spray and pray’ tactics and deliver more targeted communications. Successfully launching a business is a huge achievement for any young entrepreneur. When I launched my first business as part of Young Enterprise, it was a tremendously exciting time for everybody involved, but we quickly realised that it’s important to keep the momentum going following that initial stage. One way of doing this is to regularly review your strategy for growth. Your customers are amongst the most important external influences on your business, so it’s important to never stop learning about them. The insights you develop from this will enable you to identify key areas for growth and support you in achieving sustained success. 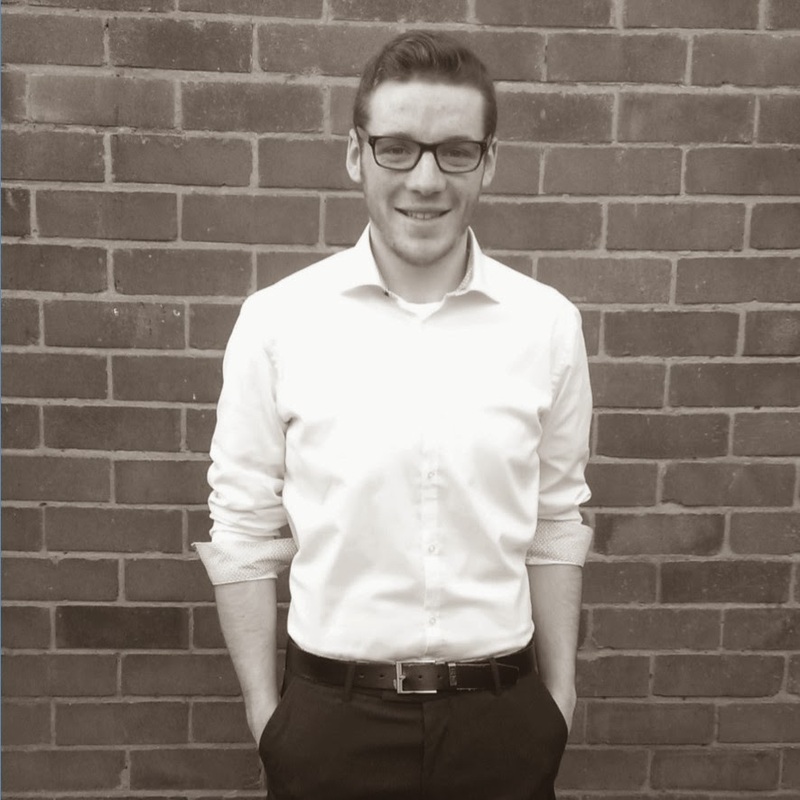 Adam Jones studies Business Management at the University of Gloucestershire and is also a Junior Account Executive at Target PR. In the past five years, he has been involved with businesses in digital media, youth engagement and horticulture, developing passions for social enterprise, communications and marketing. To find out more about Adam, click here.